Not that it’s nothing to get hung about, but really: The government-owned Russian Housing Development Foundation (RHDF) has postponed plans to tear down the Pavlovsk Experimental Station near St Petersburg which houses one of the world’s largest collections of rare fruit varieties. Yeah, strawberries! Plans to sell 70 hectares of federally owned land on which the station is situated, with a view to repurpose the site for a luxury housing project, have rocked the international plant science community. The case seemed lost after Russia’s Supreme Arbitration Court in Moscow last month ruled against an appeal to preserve the unique gene bank. But mounting pressure from scientists has now resulted in at least partial success. The RHDF has announced that it will ask an independent international expert commission to evaluate the situation at Pavlovsk before proceeding with its plans. Moreover, the Russian Accounts Chamber, a body controlling federal budgets, has said it will inspect the station on 15 September. Meanwhile, the Global Crop Diversity Trust and leading plant scientists worldwide continue to campaign against the closure of the station. 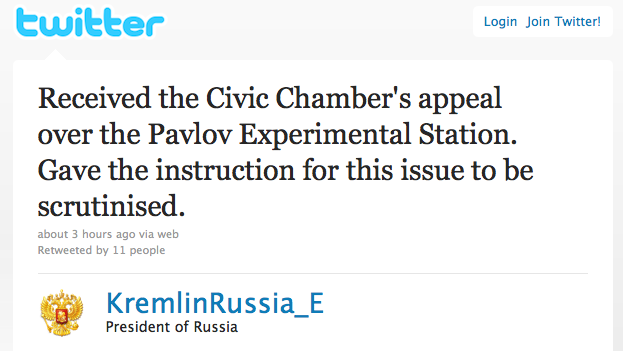 Not in vain, apparently: The Russian president, Dmitry Medvedev, last month promised via Twitter “to scrutinize” the issue.